If you're looking for a classic cup trophy, the Large Cup Achievement Trophy is the perfect choice for any occasion. 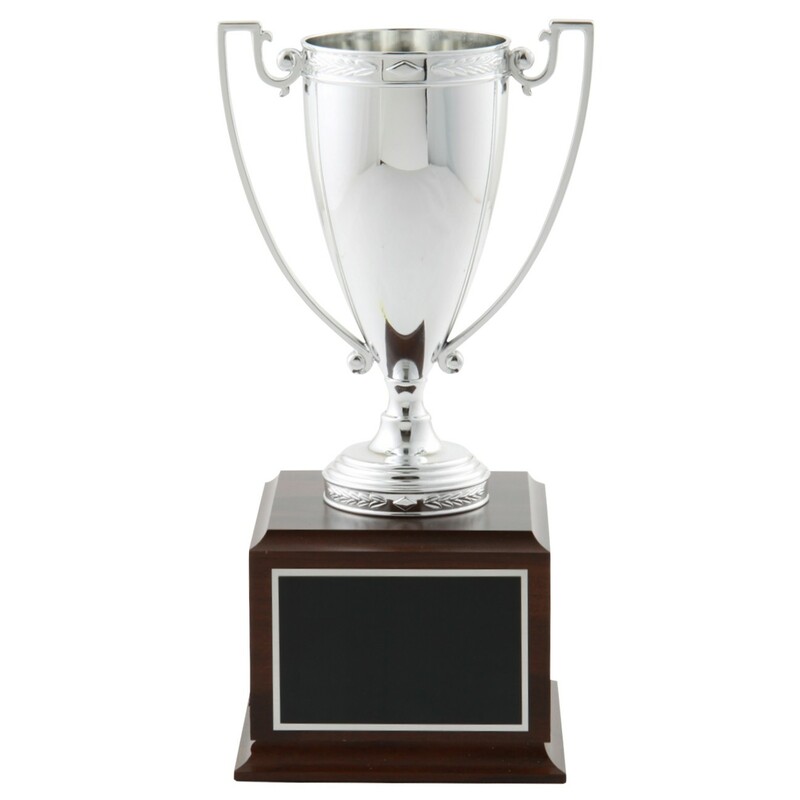 This traditional trophy is created with a gold or silver metal loving cup attached to a classic cherry wood finished base. Make this achievement trophy perpetual by adding side plates with winner's names engraved (additional charge). Price includes 5 lines of engraving on the front of the award. ***Note: To add winner's names onto the side of this achievement trophy, choose the "3 Side Plates" option below and then add product #7170 Fantasy Perpetual Engraving to your cart. L: 10.5", XL: 12.5", XXL: 15.5"
Large: 2.25"x3.35", XL: 2.5"x4", XXL: 3.25"x5.25"